Blonde Donna Mitchell decided that one way to determine her true feelings for doctor friend Richard was to change her nursing job and get a fresh slant on her emotions. After she applied at an agency for private-duty work, she was sent to the home of an eccentric importer, Mr. Eastman, who informed her that her task would not be easy. But Donna was intrigued with the challenge of this position, and also with dark-haired Steve Chandler, Mr. Eastman’s accountant and business advisor, and so she accepted with alacrity. 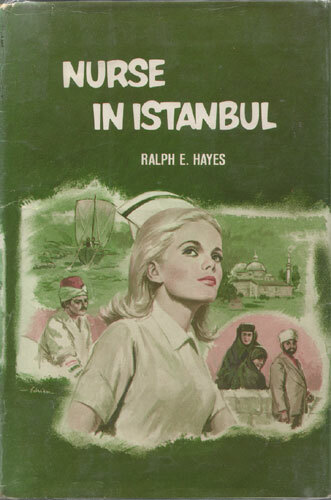 Mr. Eastman was planning a sea voyage to Istanbul, where he could conduct some business transactions, and naturally Donna would accompany him, along with Steve and Penelope Winslow, Mr. Eastman’s private secretary and old friend. Events whirled by at such a fast clip that before long, Istanbul was a visual reality, a city pulsating with danger and excitement heretofore undreamed of by Donna. The basis for the trip seemed to center around the purchase of the Green Medallion, a rare and precious gem, and soon Donna realized that her employer was involved in something highly illegal. But what about Steve? Was he, too, involved, or was he merely an innocent bystander? And when a letter arrives from Richard, Donna is forced to analyze her feelings once more.